A little over one week ago, I traveled to the Philippines with colleagues from the Clinton Global Initiative (CGI) and Palantir Technologies to review progress on our shared CGI commitment to improve disaster response through better data analysis. The joint commitment began in 2012 following the response to Hurricane Sandy. 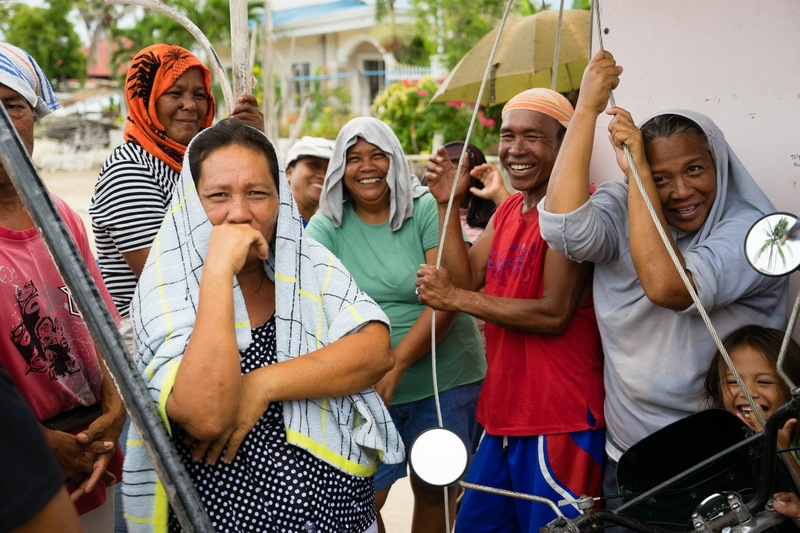 Unlike the situation in New York, in the Philippines we realized that conventional mobile solutions would not work given the extreme damage to networks. The response required a novel use of satellite communications as a way to understand rapidly changing situations and mobilize resources to meet the needs of the most vulnerable. Out of this experience, the MIMOSA (Mini Mobile Satellite) platform was born. Our first stop was on the island of Panay to meet with the Philippine nongovernmental organization (NGO) Gawad Kalinga (GK) who were finishing up the opening stage of the Baiyani Challenge, GK’s mass volunteer mobilization. Gawad Kalinga constructs communities for the poorest of the Philippine poor. They’re using Palantir to assess needs; map out construction projects; manage volunteers; and coordinate work teams across 12 of the country’s provinces. Direct Relief provided a significant grant to improve the information technology powering GK’s efforts. Outside the city of Iloilo, we visited a vibrant GK community construction project where Palantir’s technical resources are being put to work understanding housing needs and progress to date relative to the scope of shelter activities reported to the United Nations Office for the Coordination of Humanitarian Affairs (UN OCHA) and the Philippine government. While GK has been effectively building communities for many years, this is the very first time they have done so with the kind of rich analytic insight and efficient data sharing made possible by a fully integrated information infrastructure. Early results look good, with thousands of volunteers mobilized across dozens of projects throughout the Philippines. From Iloilo, we headed southeast to the city of Tacloban where we met up with Dr. Gloria Fabregas, the director of the Tacloban Health Cluster (THC). The THC coordinates public health response in the hardest hit metro area of the Philippines. MIMOSA was put to work here months ago on emergency epidemiology, tracking high-risk diseases and medical conditions in real time throughout all clinics and hospitals in the city. According to Dr. Fabregas and other clinical health workers we spoke with, MIMOSA has been a crucial part of their ability to connect health centers to effective coordination mechanisms and understand emergent infections and health trends as they happened. Response times have quickened and insight into Tacloban’s health system has deepened, paving the way for improved public health preparedness in the face of whatever events may strike Tacloban in the future. Just south of Tacloban, in the tiny town of Dulag, we finished up with a visit to the Bumi Sehat birthing center. Bumi Sehat, run by 2011 CNN Hero Robin Lim, is a lifeline for thousands of impoverished mothers on Leyte Island. In the next phase of MIMOSA implementation, Direct Relief will be teaming with Bumi to help them understand the epidemiology of maternal health; improve the efficiency of health services; coordinate across NGO and public sector actors; and in general to tell the remarkable story of global and local collaboration to rebuild and enhance the health of post-typhoon Philippine society.